Alexandria, Va. (Oct. 1, 2016) – The National School Boards Association (NSBA) is pleased to announce Tacoma Public Schools, Tacoma, Washington, winner of the Council of Urban Boards of Education (CUBE) 2016 Award for Urban School Board Excellence. Much has changed since 2007 when all five of Tacoma’s comprehensive high schools were labeled ‘dropout factories.’ In just the last five years the district’s graduation rate climbed 27.3 percentage points, and enrollment in post-secondary education programs and college completion rates are climbing. The National School Boards Association (NSBA) is pleased to announce the NSBA 2016 Innovation Award was presented to the Minnesota School Boards Association (MSBA), in recognition of its innovative approach leading to enhanced leadership and association capacity, and renewed commitment to equity and diversity in student achievement. Alexandria, Va. (July 5, 2016) – National School Boards Association (NSBA) executive director Thomas J. Gentzel was recently named chair of the Learning First Alliance’s (LFA) Board of Directors. A coalition of 14 leading education organizations, LFA represents over 10 million parents, educators, and policymakers dedicated to improving student learning in America’s public schools. Alexandria, Va. (June 23, 2016) – The National School Boards Association (NSBA), the leading advocate for public education, upholds equity and diversity as an important part of its mission. NSBA applauds today’s U.S. Supreme Court decision which upheld the principle that there is an educational interest in the benefit of diversity for all students. NSBA is happy to announce its president and board leadership for 2016-17: Miranda Beard of Mississippi’s Laurel School District, President; Kevin Ciak of New Jersey’s Sayreville School District, President-elect; and Frank C. Pugh of California’s Santa Rosa City School District, Secretary-Treasurer. NSBA’s 2015-16 President, John Tuttle of Oklahoma’s Kellyville Public Schools, will now serve as Immediate Past-President. 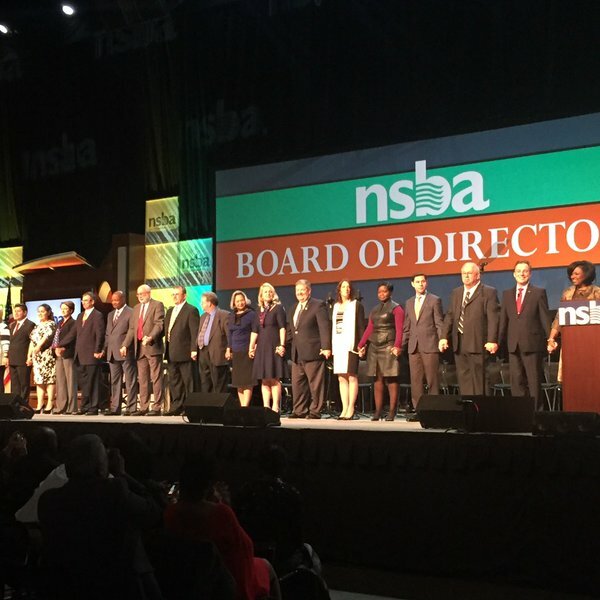 NSBA announces its president and board leadership for 2016-17: Miranda Beard of Mississippi’s Laurel School District, President; Kevin Ciak of New Jersey’s Sayreville School District, President-elect; and Frank C. Pugh of California’s Santa Rosa City School District, Secretary-Treasurer. NSBA’s 2015-16 President, John Tuttle of Oklahoma’s Kellyville Public Schools, will now serve as Immediate Past-President. Alexandria, Va. (April 18, 2016) - The National School Boards Association’s (NSBA) Council of Urban Boards of Education (CUBE) elected leaders and new members to its Steering Committee during its annual business meeting at NSBA’s Annual Conference, April 9-11, in Boston, Massachusetts.